The sun is shining almost all year round here in Rio. Life here pretty much happens outside on the streets and the beaches. Bikinis, Caipirinhas and Samba music. 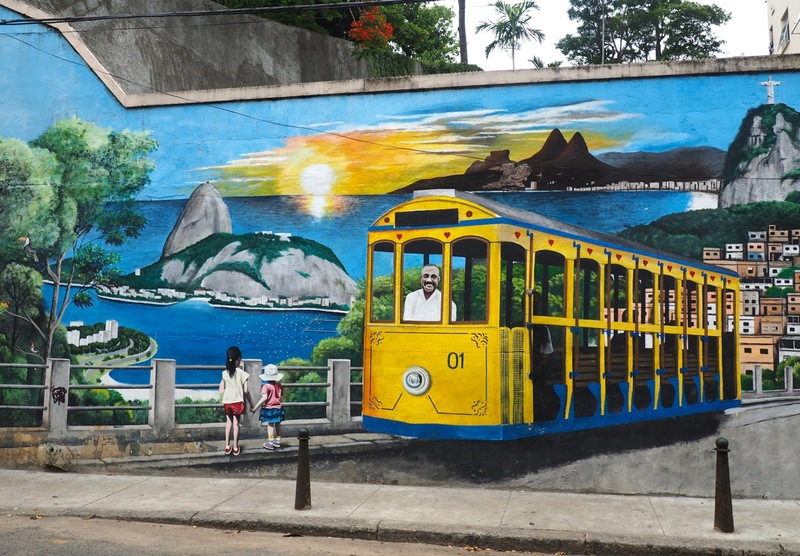 This is one side of Rio, but there is so much more to it. 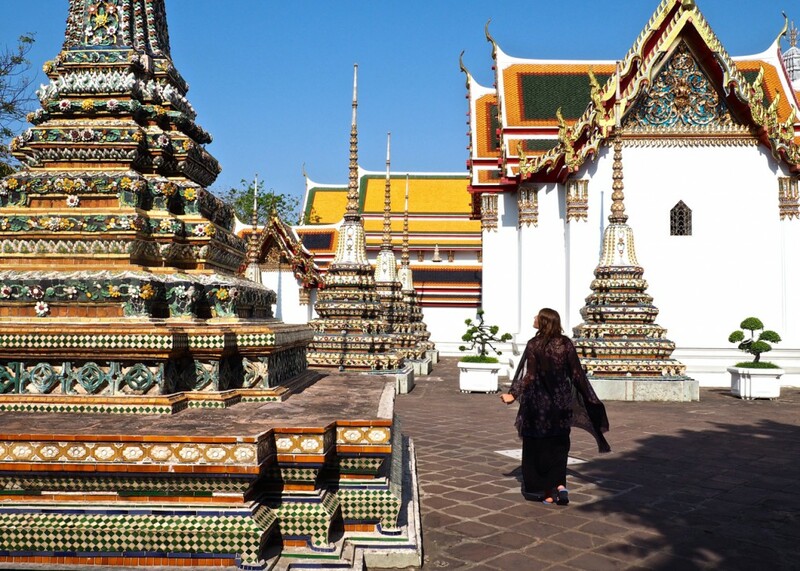 Great art, museums, hiking- the options here are endless. That makes it also quite hard to make a ‚Top 10‘ list, though this should help you when planning your visit for the first time. The view from the famous Sugarloaf Mountain is stunning and always worth a visit, even if you have been up there countless times you will always be mesmerized by the sight. The best time to head up there is in the afternoon, be prepared to stand in line and wait until you can board one of the cable cars. To get all the way on top you need to take two cable cars. On the first stop you will have a nice view of the mountain itself and you will find a restaurant up there as well as two of the former cable cars on display with some information. A different cable car will then take you all the way up to the view platform on top. From there you will see the entire city. Watch the sunset from up there and stay for a while to see the city light up. 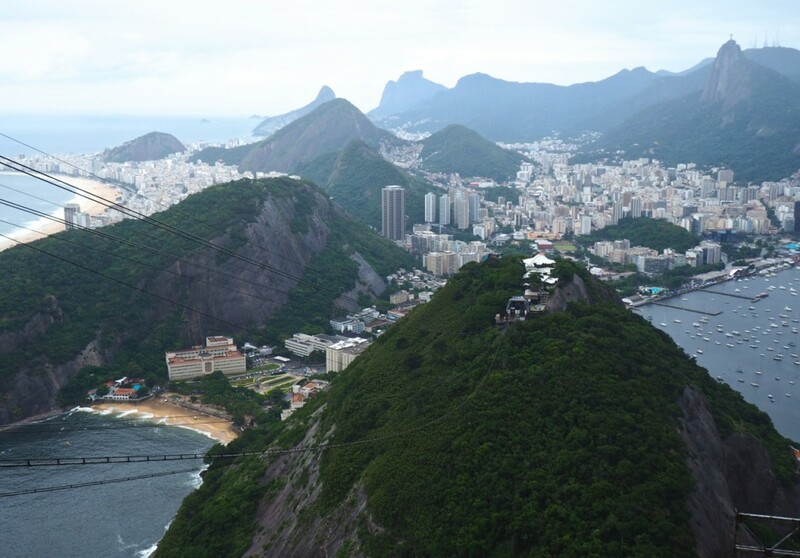 This might come as a surprise to you, but Rio is a hikers paradise with a lot of different hiking trails to mountains, beaches and waterfalls for all levels of experience. The hike is fun and challenging and afterwards you will mostly be rewarded by a great view. 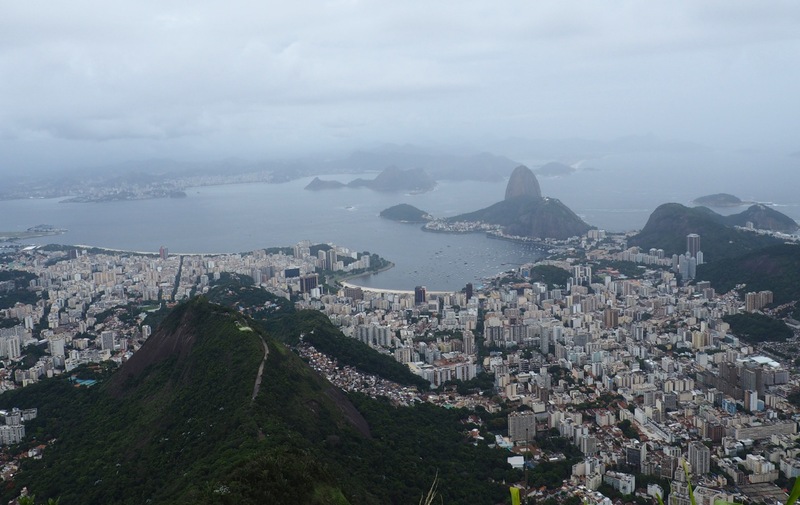 Really good hiking trails are for example up to Chinese View, Morro dos Cabritos and Pedra da Gávea. On my layover in Rio in January I really wanted to climb up to the Pedra da Gávea after seeing incredible photos of the view from above. Seriously just search for the pictures on google. Unfortunately it was not possible to do it because of the weather conditions. Though a hike up there is high on my bucket list for my next visit. To do the hike it is best to go up with a guide as you need to climb up the last meters with a rope. Once on top the view will be worth it and you will even have to chance to do some paragliding all the way down. The hippie market in Ipanema is open every Sunday from 7 am to 7 pm. 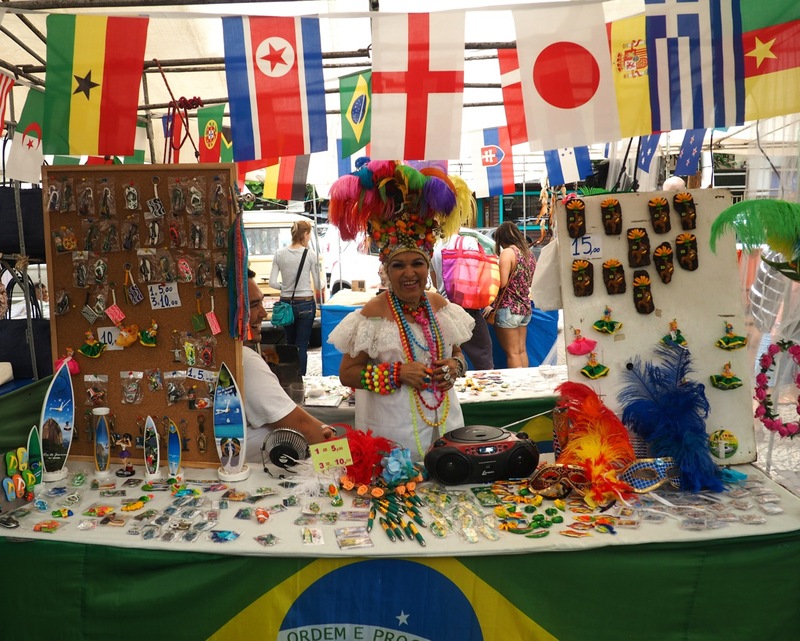 There are a lot of different stalls where you can find some handcrafts, local art, jewelry and clothes. If you fancy to try the food from the Bahia region there is also a couple of food stalls offering delicious savory and sweet dishes and cold drinks. The atmosphere is friendly and relaxed and it is a nice place to go for a stroll and to look around. Doesn’t matter whether you are planning on buying something or not. 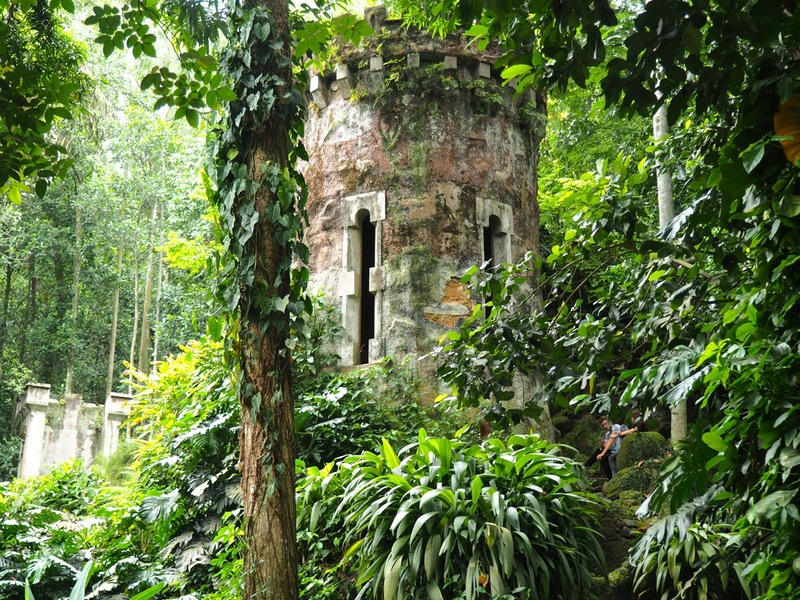 In a beautiful jungle-like setting you will find a beautiful, colonial building. It is now home to a school of visual art. For the ones who are familiar with the music video of the song’Beautiful’ from Snoop Dogg and Pharell Williams you will know it from there. In the courtyard of the building is a little café which offers the most delicious breakfast, there is a set breakfast or single dishes you can order from there menu for a fair price. They also offer lunch, dinner and drinks. Come here early to secure a nice table as it is a very popular place. Afterwards it is very nice to go for a stroll in the park and discover all the little hidden gems like a cave or a little tower. 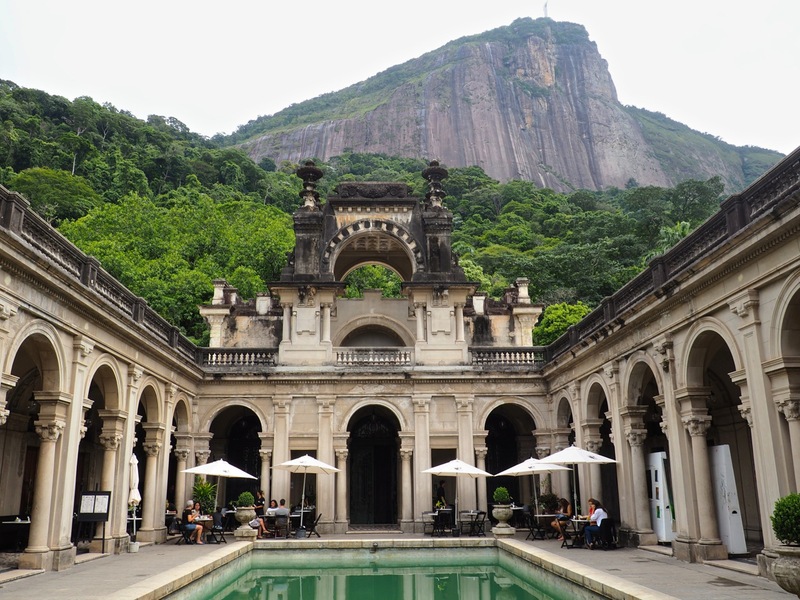 The botanical garden ‚Jardim Botanico‘ is also nearby and is worth a visit. The world famous statue of ‚Christ the Redeemer‘ is situated on top of the 710 m high Corcovado mountain and is the symbol of the city. To beat the crowds and cut long waiting hours you should come here as early as possible and buy your tickets in advance. 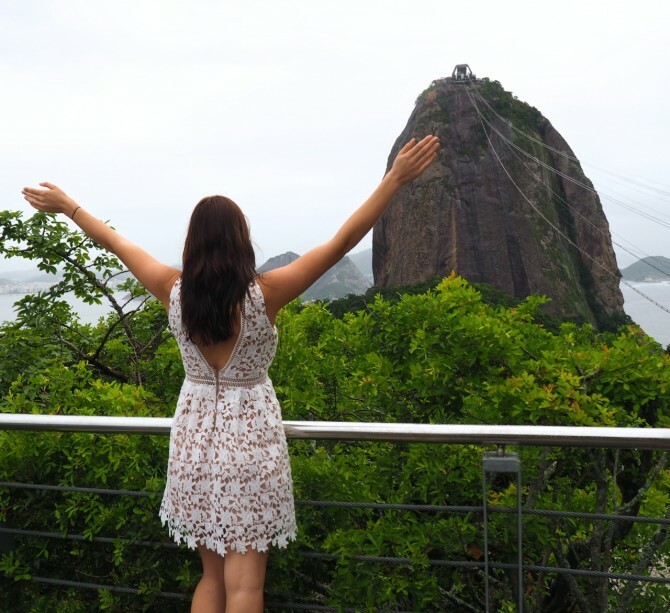 Especially in the morning you can see very far from up the mountain and you have a great view of the city, the Sugarloaf mountain and the Maracana football stadium where Germany won the world cup last summer. On your way down make a stop at ‚Mirante Don Marta‘ from here you also have a brilliant view, almost the same as from the top but without the masses of people. This is one of the oldest areas in Rio and still today you will find beautiful, old buildings from colonial times. It is nestled up a hill and from up there you have a magnificent view of the city. There is still a tram running which was the first tram line built in South America. The area is known to be home for a lot of artists so you will be able to discover some great galleries and museums. It is buzzing with life and there are many nice bars, cafés and restaurants. Tip: For lunch head to the restaurant ‚Aprazivel‘. The food is great and you will get a beautiful view on top of it. 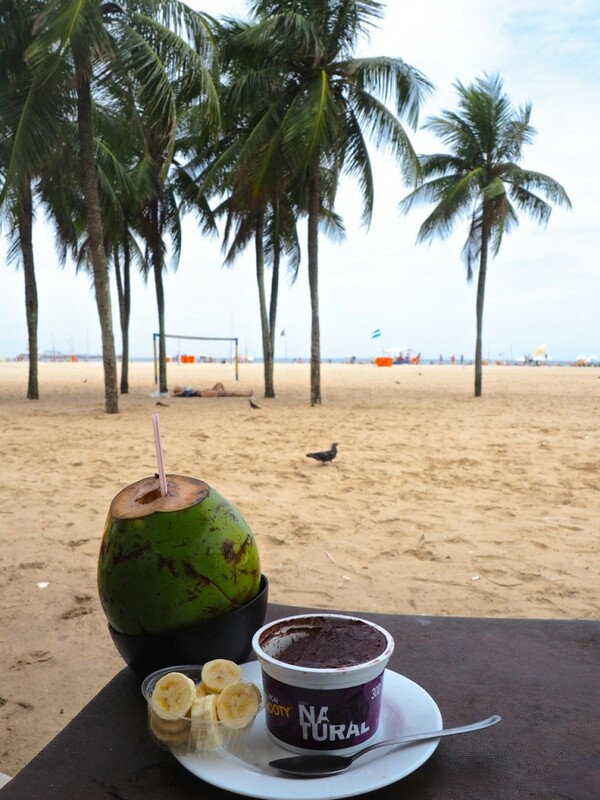 No visit to Rio is complete without a visit to the beach. 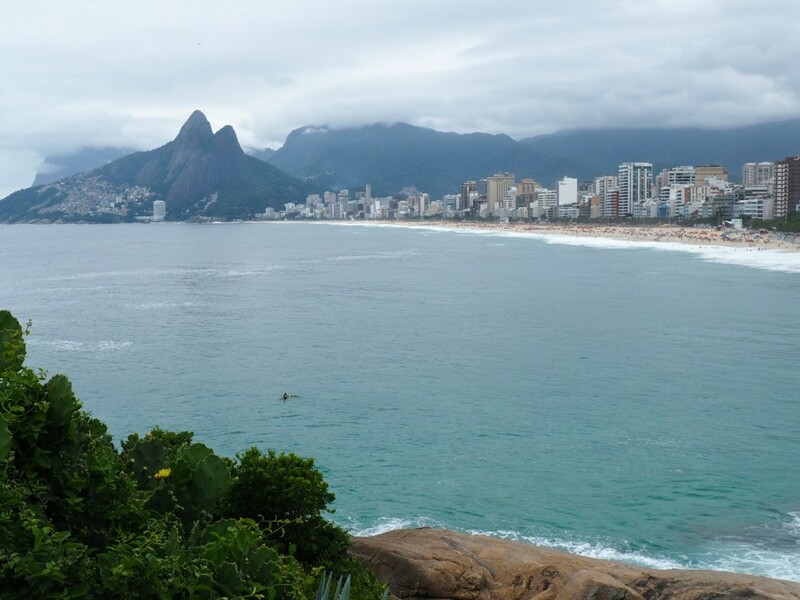 The beaches of Ipanema and Copacabana are the most famous ones and you certainly shouldn’t miss them, though I got told that ‚Barra da Tijuca’ is the most beautiful one. Life besides work for the ‚cariocas‘, that’s how the inhabitants of Rio are called, seems to happen outdoors and on the beach. People jog, skate or cycle along the promenade; others relax on the beach or meet up with a group of friends at one of the many bars along the beach for a caipirinha and some snacks. 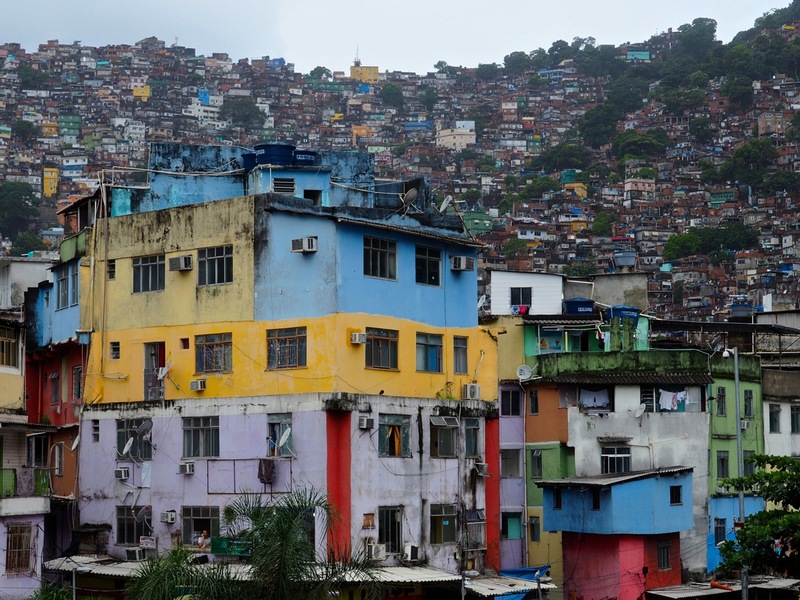 A lot of the favelas in the city have become safe to visit in recent years. 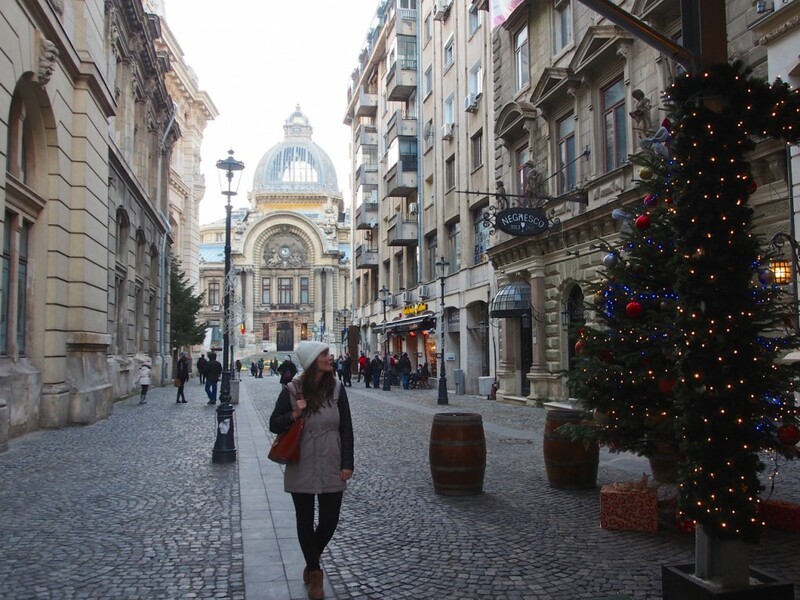 They make up a big part of the city and it is a really insightful experience to learn about the history and see how people live. Visiting a favela without a guide or tour is not recommended. A guide knows best which places to visit and can give you a lot of background information you wouldn’t get otherwise. 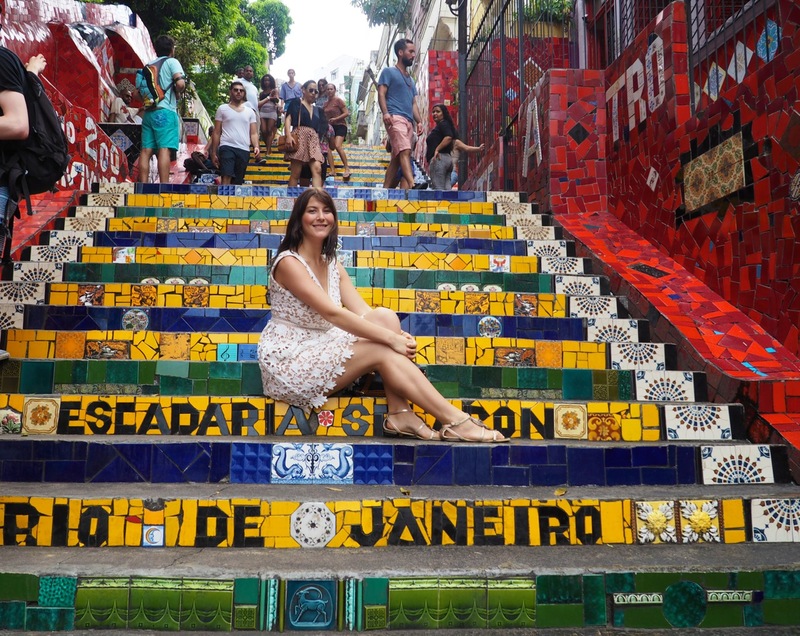 Rocinha is one of the biggest favelas in Brazil and actually has a tourism office where you can ask for a local guide. There are also a lot of tour operators who offer favela tours – however I would make sure that they support the community and give back. I went on a tour with ‚Be a Local Tours‘ and found their tour really interesting plus they support a local nursery with their profits. You can read about my experience here. Aproadoar is situated in-between Ipanema and Copacapana. It is a popular spot for surfers during the day and in the evenings locals and tourists alike come here to end the day, sit on the big rocks and watch the sun set with some beers. Chances are high that someone will have a guitar and play and when the sun disappears the crowd cheers. Lapa is the place to go out in the evening. Not only will you find many great restaurants, the obligatory Churrascaria but also international cuisine. There are many fun bars and clubs that come to life at night. You can also join a pub crawl here or learn how to dance in one of the many Samba schools. Just be careful when heading home, I would recommend you to take a taxi. 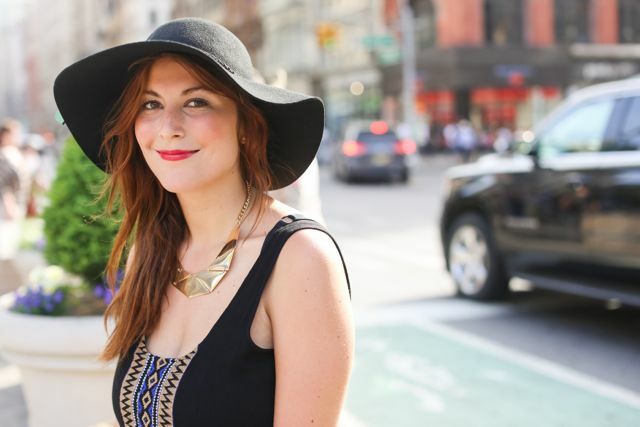 I want to say that I really enjoy your travel blog! I find it very inspirational and your pictures are amazing. I just want to provide some feedback – I notified you don’t have much to say about South America. I found a few blogs about Brazil, but none on Colombia, Venezuela, Ecuador, etc. I am Colombian and was excited to read about my country on your blog but was disappointed that you had no content available. If you would like any help with South America or Colombia in general let me know. I would love to share my tips and secret spots especially from my home country. There is so much beauty and biodiversity in Colombia. It’s the only country in South America surrounded by 2 seas, and is intensely culturally different than any other. Let me know if you would like to collaborate and write about Colombia. Thanks! And found out we are colleagues 😀 I’m a flight attendant, too. I love Rio, it’s like my second home because I spend a lot of time there. Maybe I’ll see you there one day and we can have a caipirinha.